Lion Air had 11 737 MAX 8s in its fleet before Monday’s accident. A Lion Air Boeing 737 MAX 8 has crashed into the sea off the coast of the Indonesian capital Jakarta. The accident occurred on Monday morning, shortly after the aircraft, PK-LQP, took off from Jakarta as JT610 bound for Pangkal Pinang with 181 passengers, five cabin crew and two pilots on board. Indonesian search and rescue teams appear to have located the aircraft in the Java sea north of Jakarta, according to tweets posted by the head of information for Indonesia disaster relief agency Sutopo Purwo Nugroho. Indonesian authorities said flight JT610 lost contact with air traffic control 13 minutes after it took off from Jakarta’s Soekarno–Hatta International Airport. Data from flight tracking website Flightradar24 shows the 737 reached an altitude of about 5,500ft before a rapid descent. 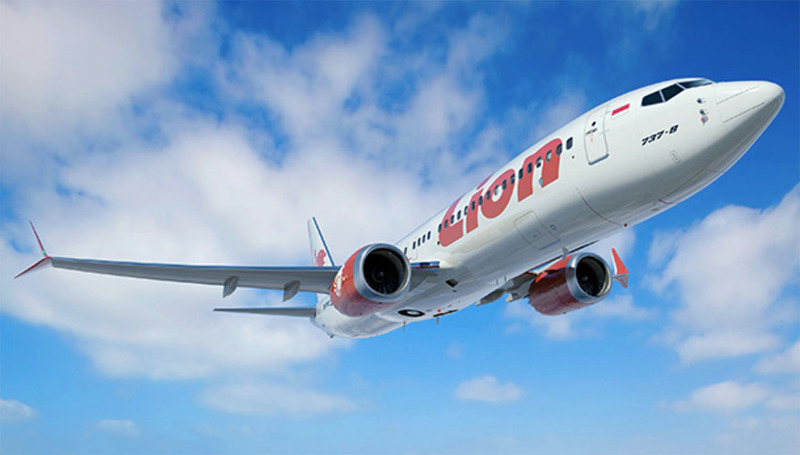 The aircraft had only been delivered to Lion Air in August. Boeing said on its @BoeingAirplanes Twitter account it was aware of the incident and was monitoring the situation. The Lion Air group of airlines was the launch operator for the 737 MAX when its Malaysia affiliate Batik – then known as Malindo – took delivery of MAX 8 9M-LRC in May 2017. It is the first accident involving the MAX, which is the fourth generation of the Boeing 737 program. The MAX features new generation CFM International LEAP-1B engines, as well as a new flightdeck, fly-by-wire spoilers and new technology winglets compared with the 737 NG. The airline was planning to comment on the incident later on Monday. Crisis Center Penanganan Jatuhnya Pesawat Lion Air JT 610. Silakan menghubungi crisis center di nomor 021-80820000 dan untuk infomasi penumpang di nomor 021-80820002.